San Francisco Board of Supervisors President London Breed celebrated her mayoral victory over former state Sen. Mark Leno inside a crowded auditorium at Rosa Parks Elementary, full of supporters, city officials and community leaders. It was the perfect setting for Breed’s victory speech. She grew up in the Western Edition in the Plaza East Public Housing while being taken care of by her grandmother. Rosa Parks Elementary was also where she went to school. Many challenges await the next mayor. The issues are not new to anyone living in The City: homelessness, a housing crisis, filthy streets, drug use, auto break-ins. 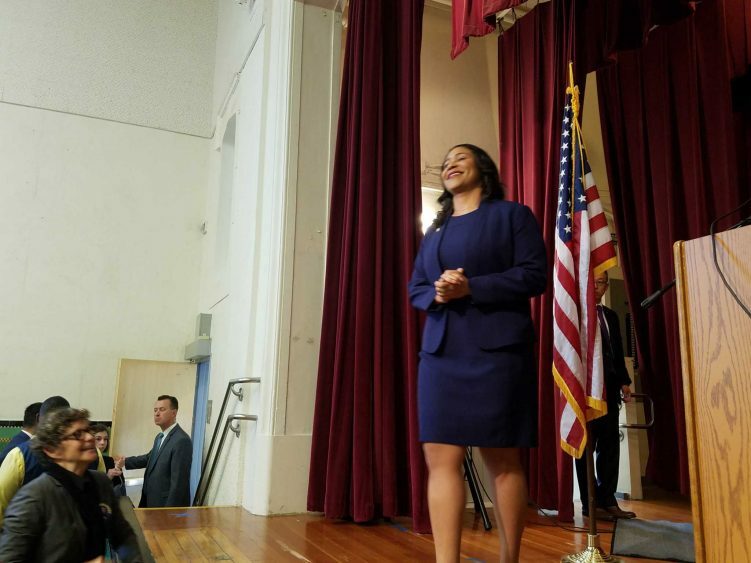 San Francisco Board of Supervisors President London Breed smiles at her supporters in San Francisco, Calif., on Thursday, June 14, 2018. On homelessness, Breed said she plans end tent encampments within a year and moving the people living in tents into supportive housing. Breed said she wants to assign a guardian to take care of those who are severely disabled or mentally ill through the court system. 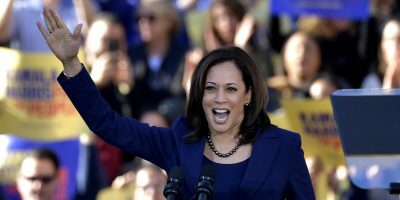 Her campaign also focused on housing which she promised to build 5,000 more housing units each year and expanding subsidy programs for low-income tenants who live in The City. Breed, 43, was elected to the Board of Supervisors in November 2012 representing District 5, and was reelected in November in 2016. Her colleagues on the board elected to her President of the Board of Supervisors in January 2015 and again in January 2017. 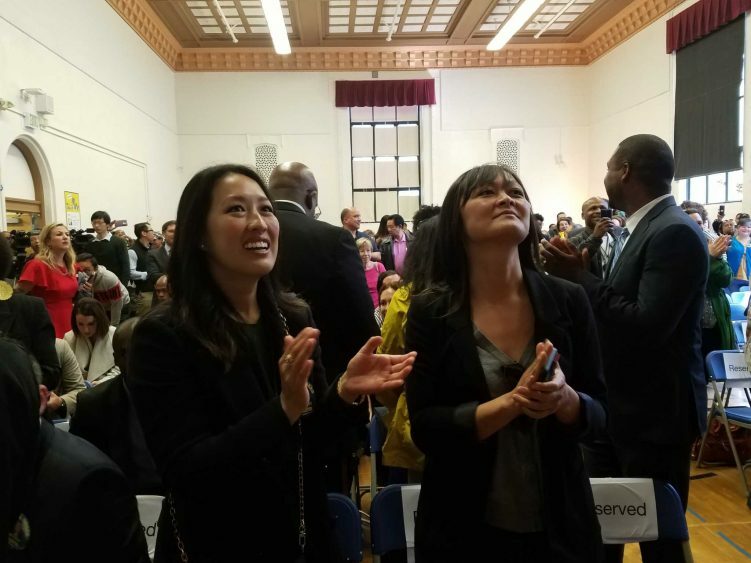 San Francisco Supervisor Katy Tang and city accessor Carmen Chu applaud Board of Supervisors London Breed in San Francisco, Calif., on Thursday, June 14, 2018. Prior to election to the board, Breed was the executive director of the African American Culture Complex and served five years as a commissioner on the San Francisco Redevelopment Agency. In 2010, former mayor Gavin Newsom appointed to Breed as a fire commissioner. 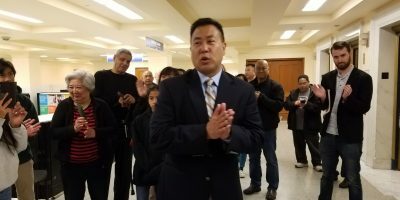 Breed ascended to the role as Acting Mayor on Dec. 12, 2017, when Mayor Ed Lee died suddenly. Lee’s death triggered a mayor’s race for the June election to fulfill his remaining term. 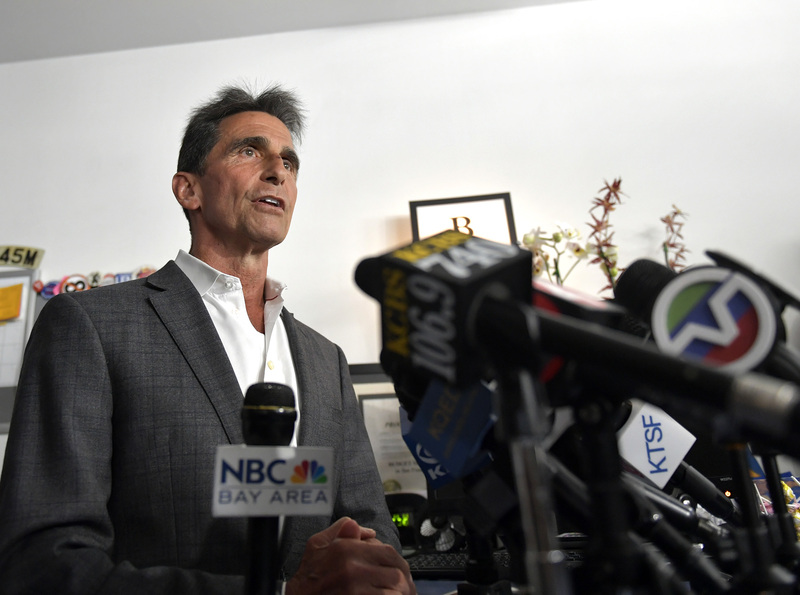 Breed’s stint as Acting Mayor lasted a little more than a month, when the progressive block of the Board of Supervisors said they wanted a “caretaker” mayor who not run in the June election. 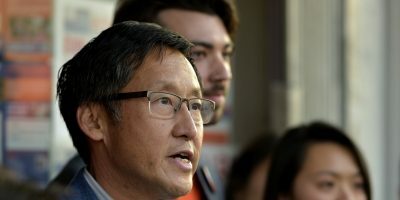 Breed would have been seen as a incumbent on the June ballot, and some supervisors said they wanted to make the election a fair race. The board voted at its Jan. 23 meeting to put Supervisor Mark Farrell as the mayor until the June election, which drew an uproar from some from the public at the meeting. As mayor, Breed will make the decision on her replacement to represent District 5.